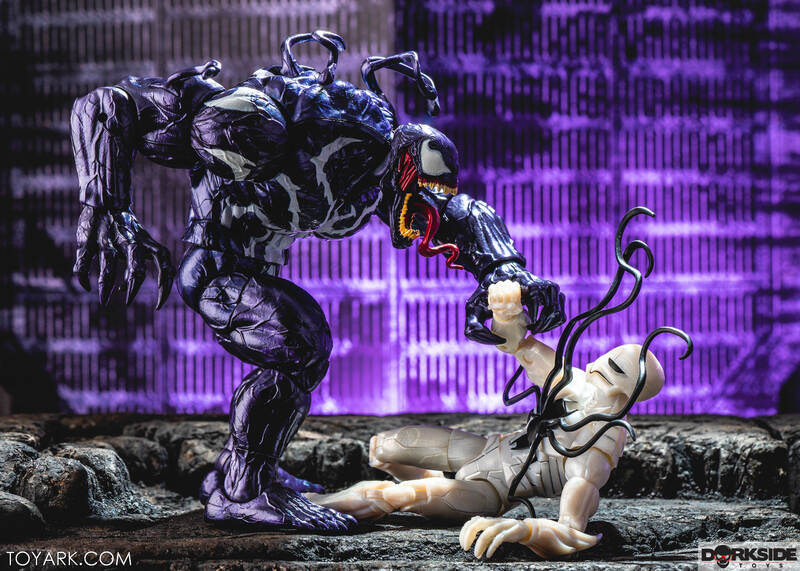 I’m gonna eat that little dirtbag’s brain and squat it out on his mother’s grave! 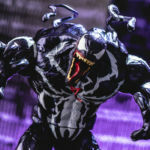 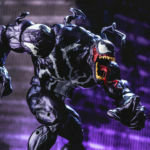 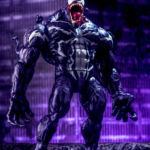 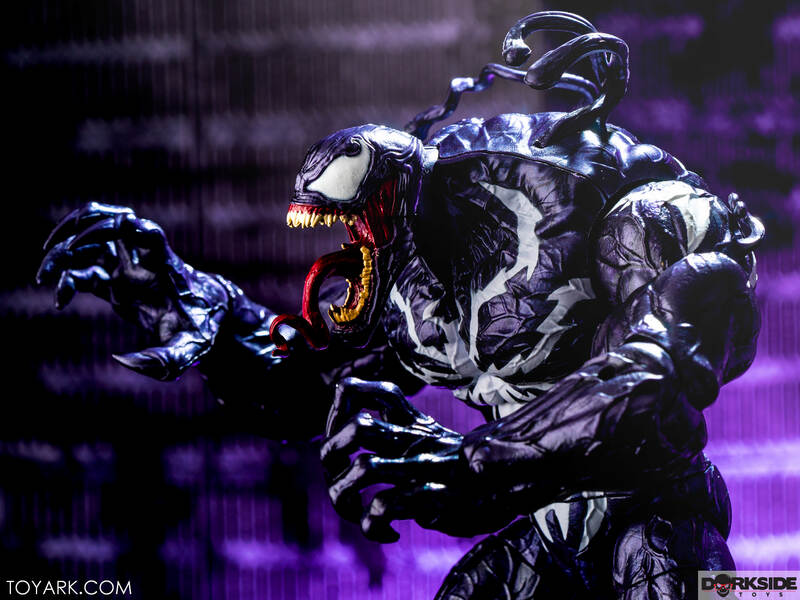 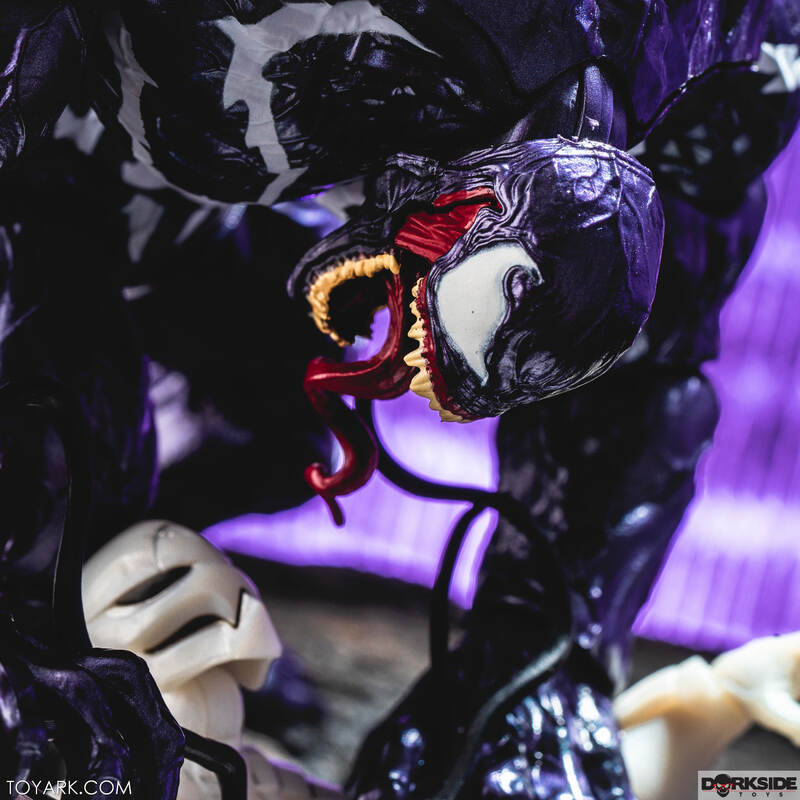 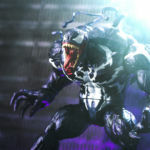 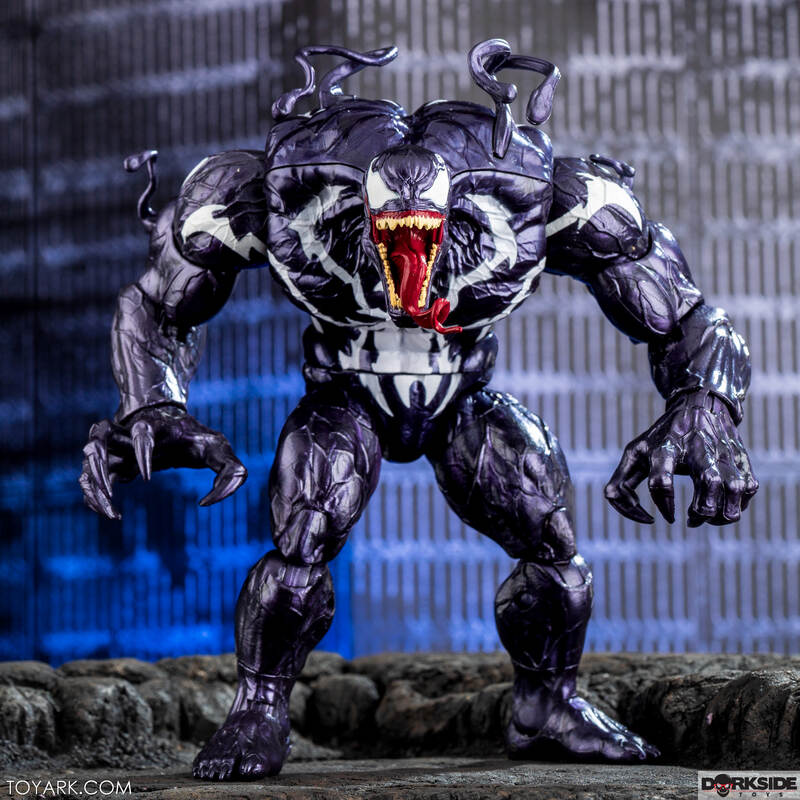 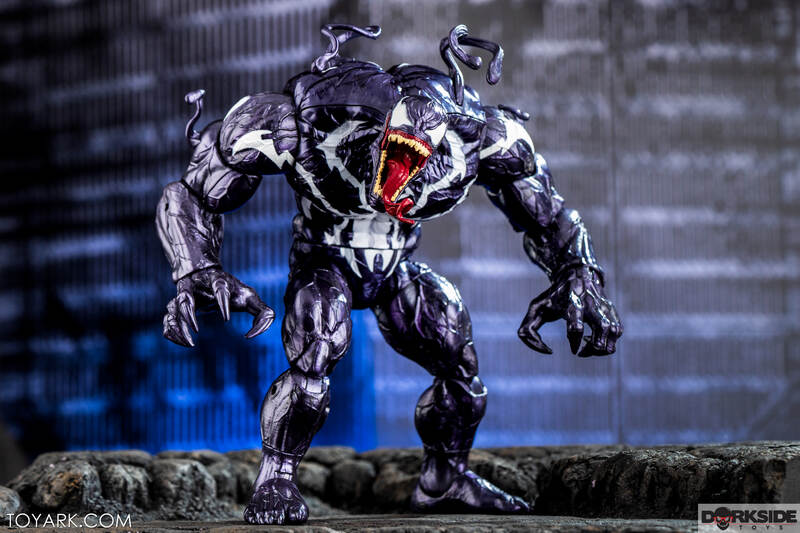 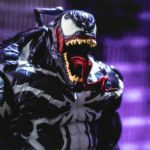 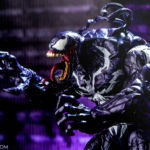 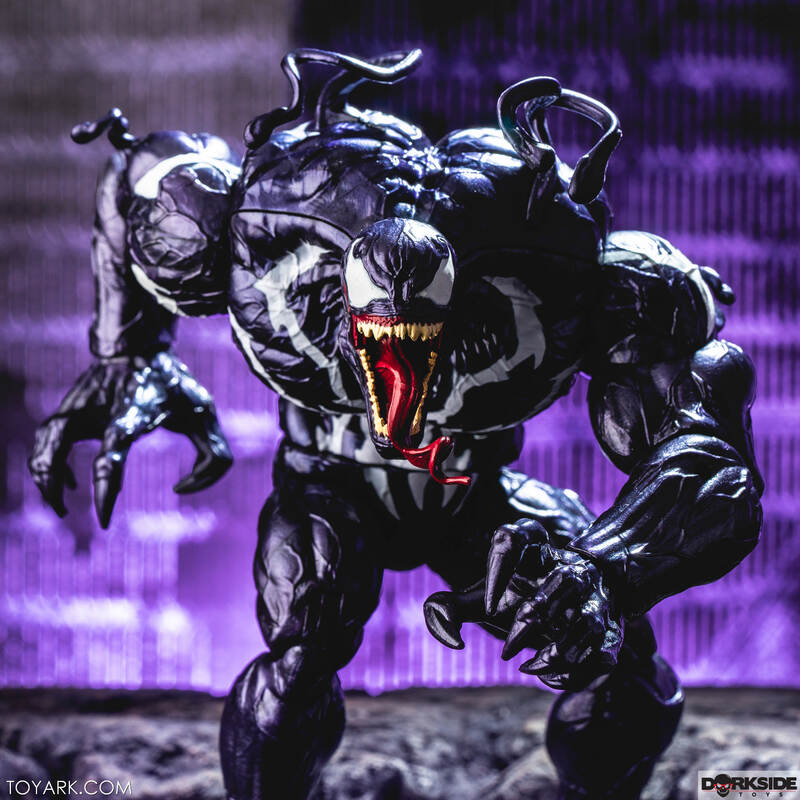 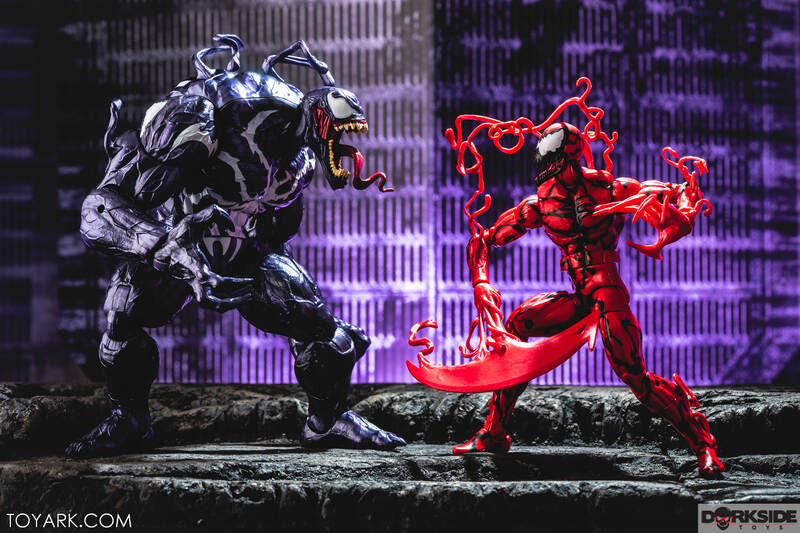 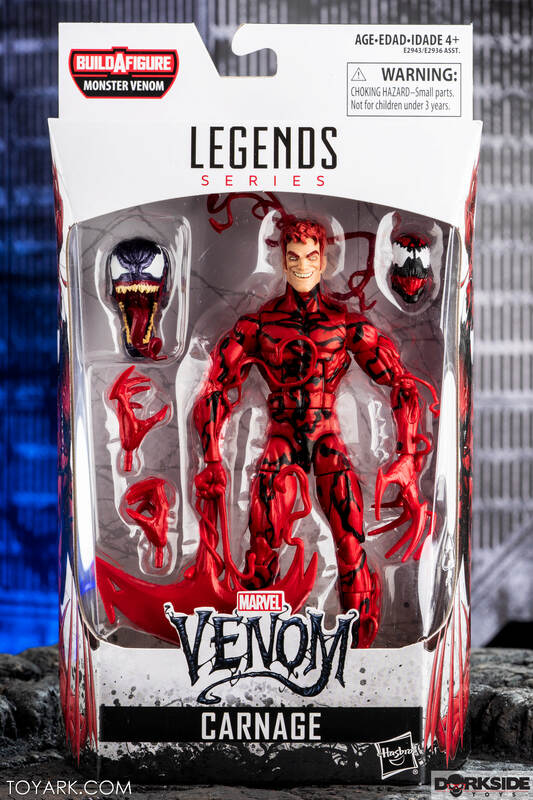 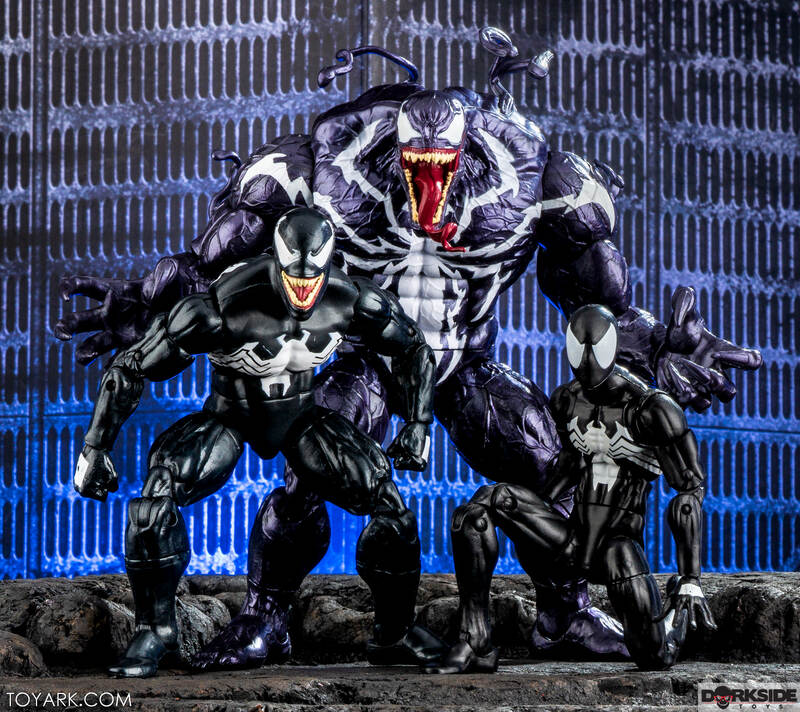 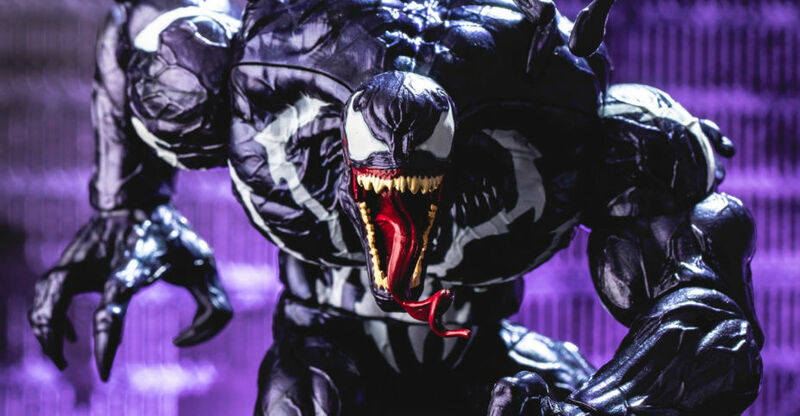 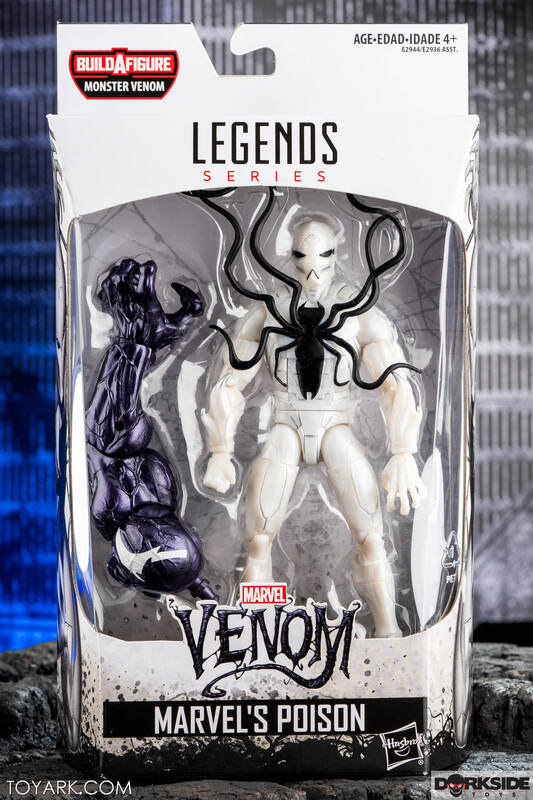 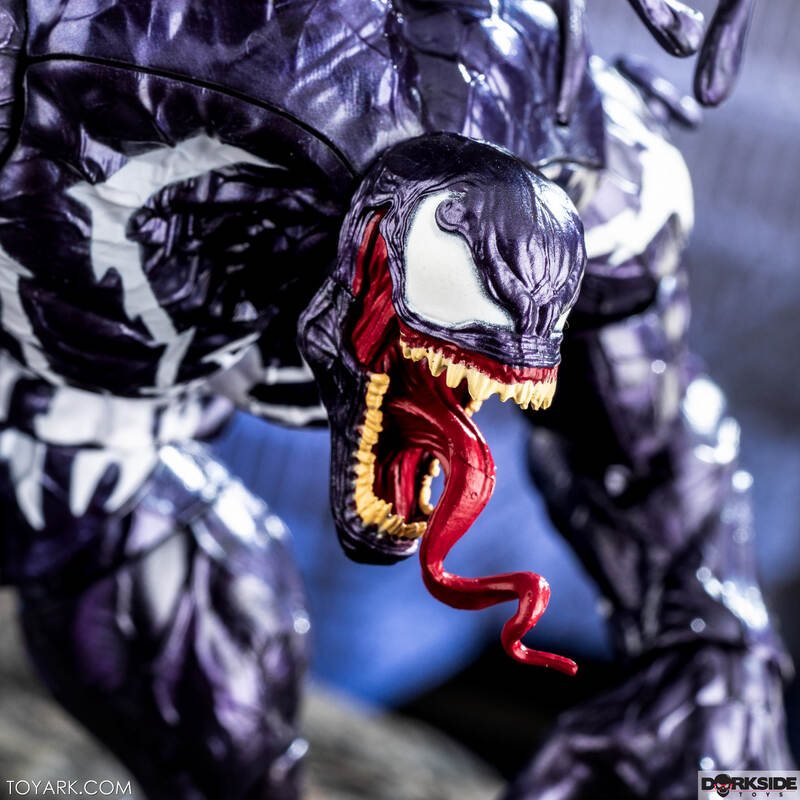 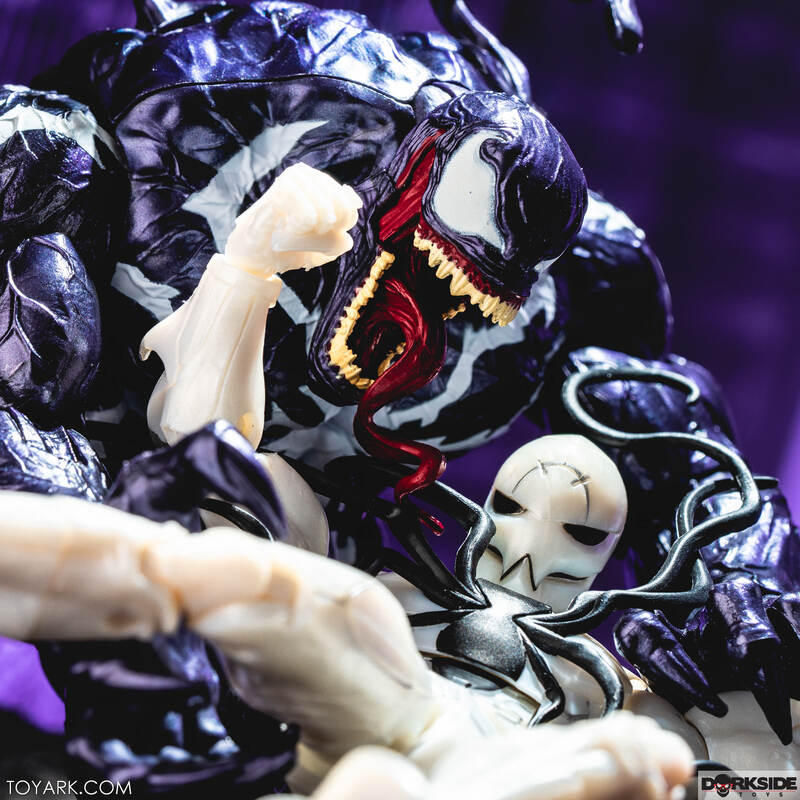 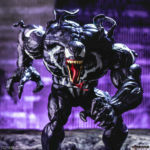 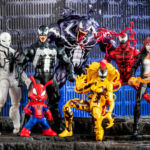 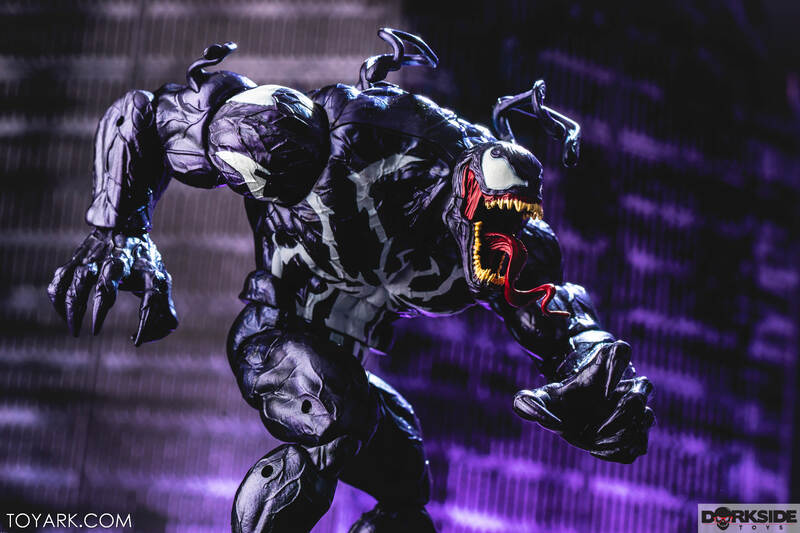 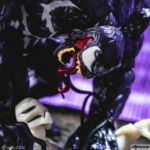 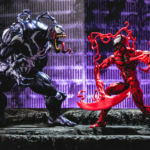 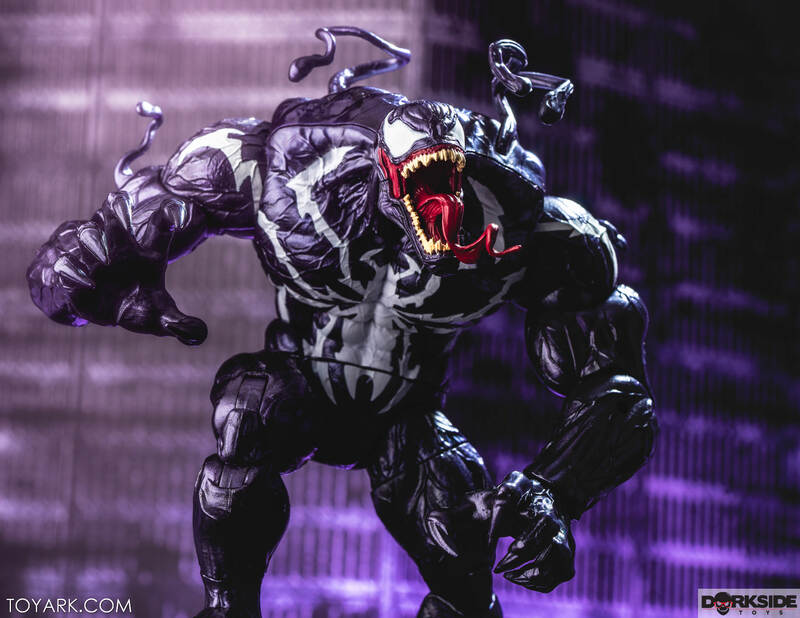 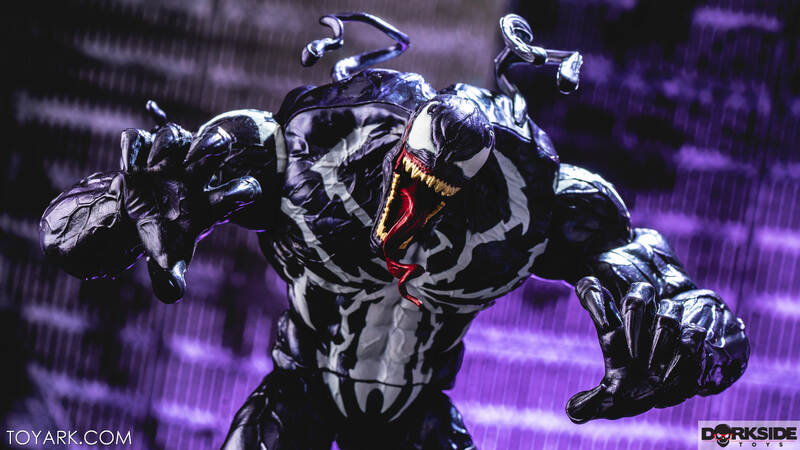 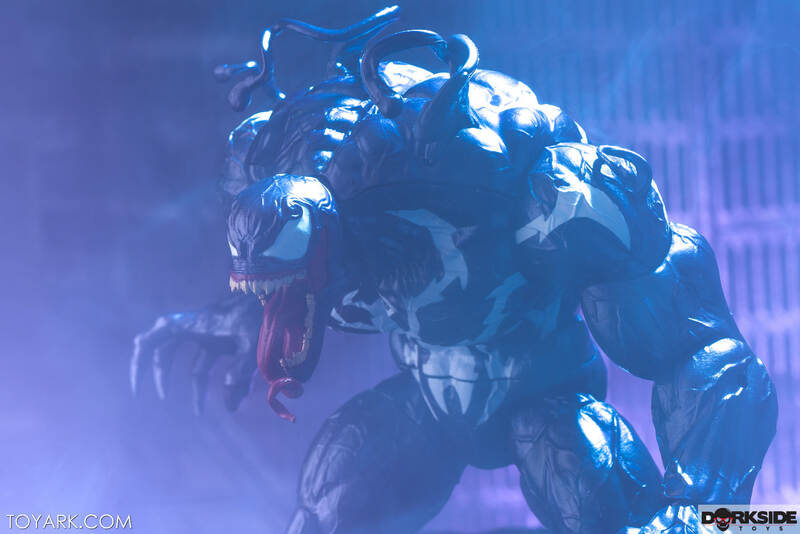 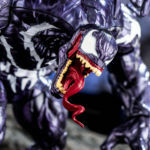 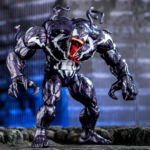 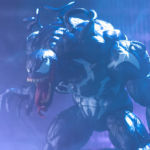 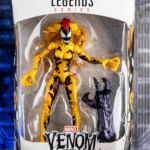 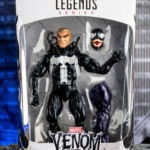 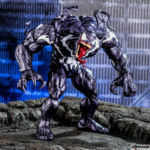 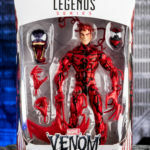 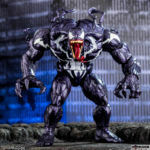 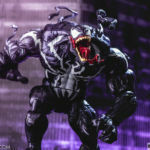 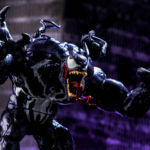 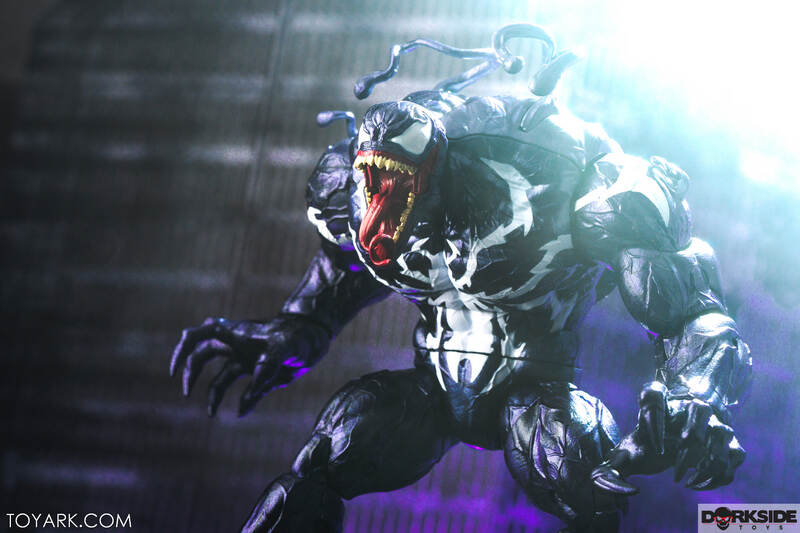 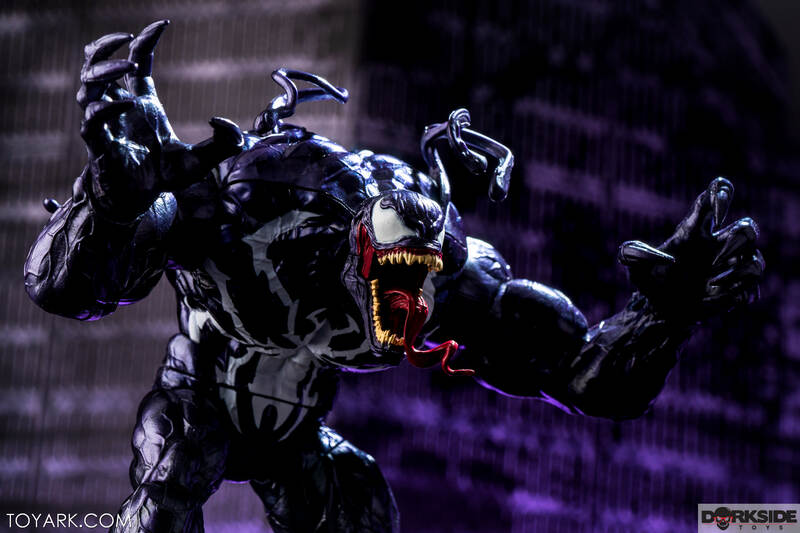 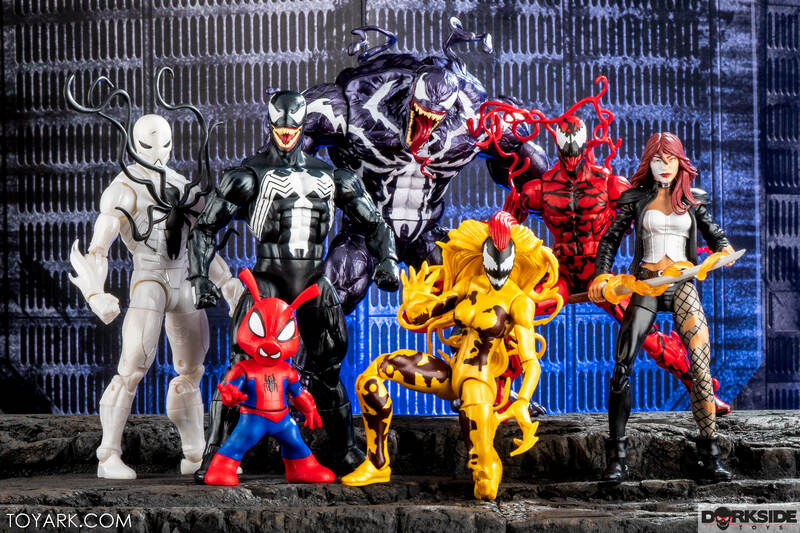 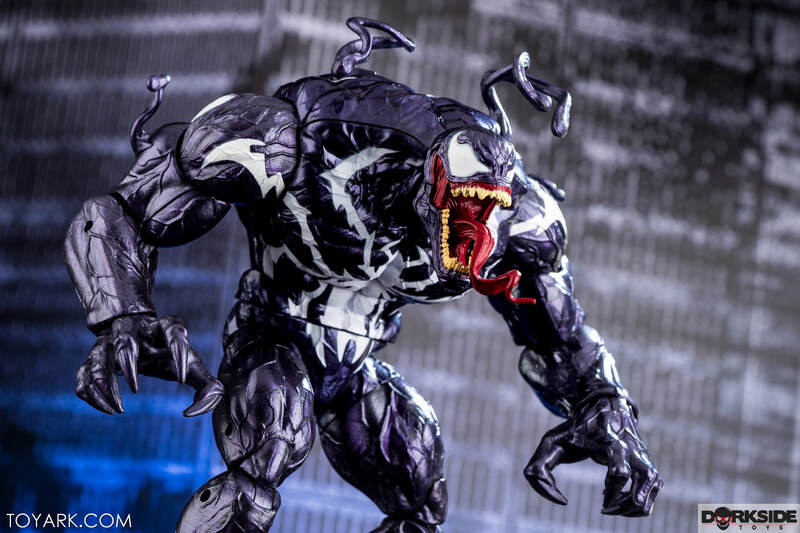 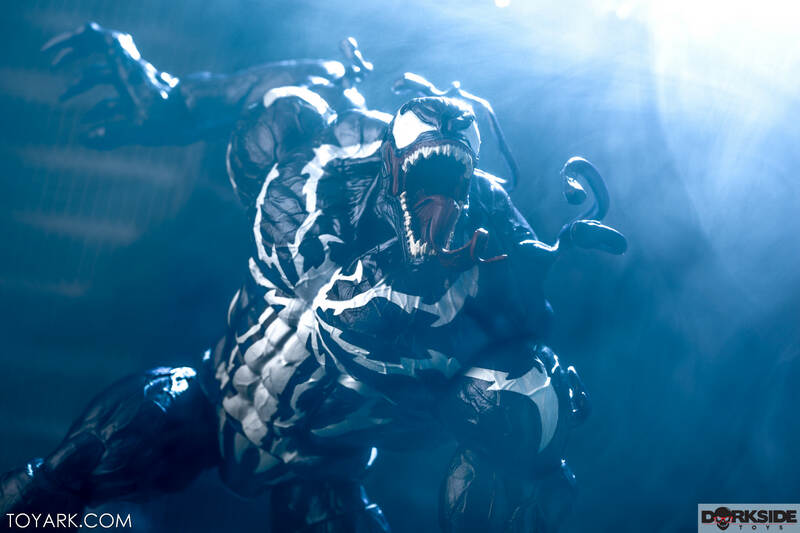 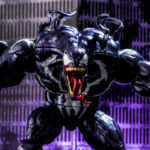 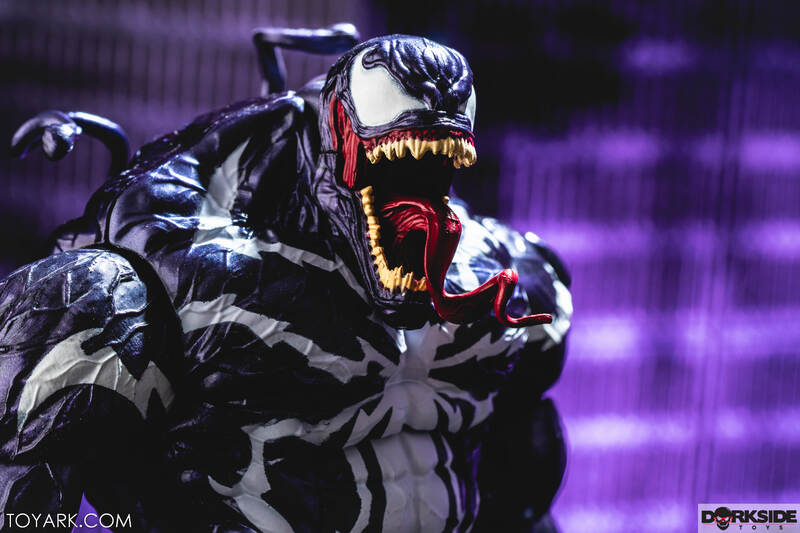 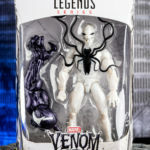 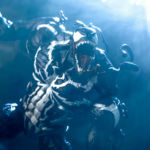 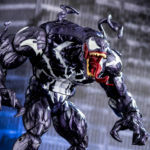 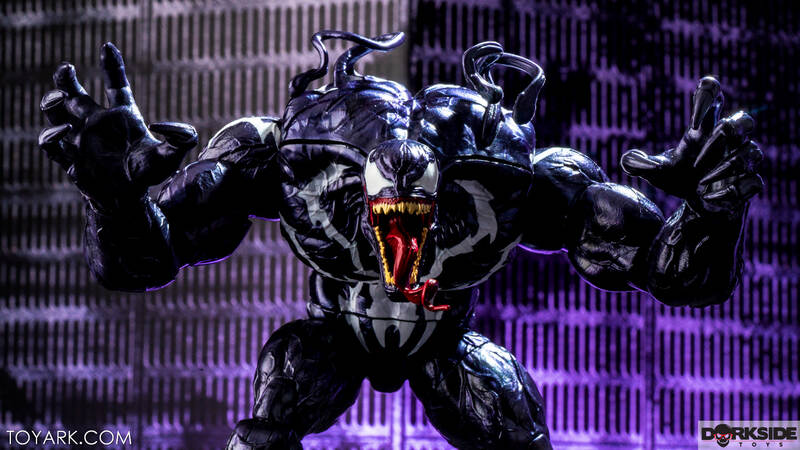 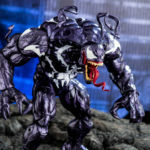 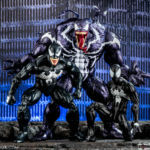 The final figure from the Marvel Legends Venom wave is the Monster Venom Build A Figure. While not specifically referenced, it pays homage to the Mac Gargan (formerly Scorpion) version of Venom. 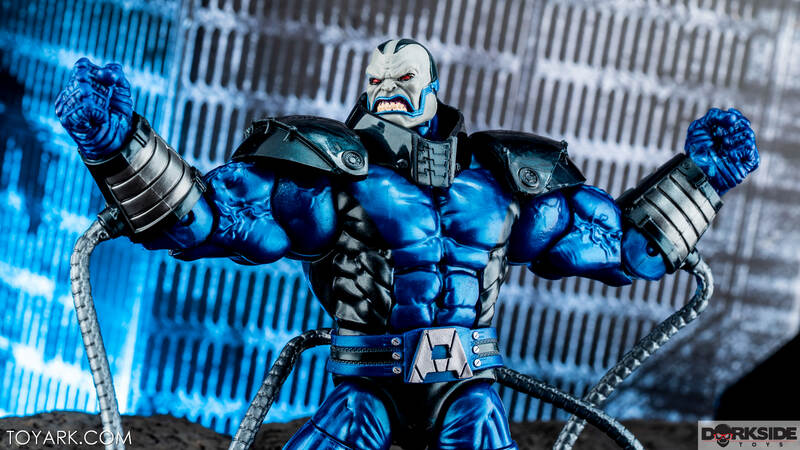 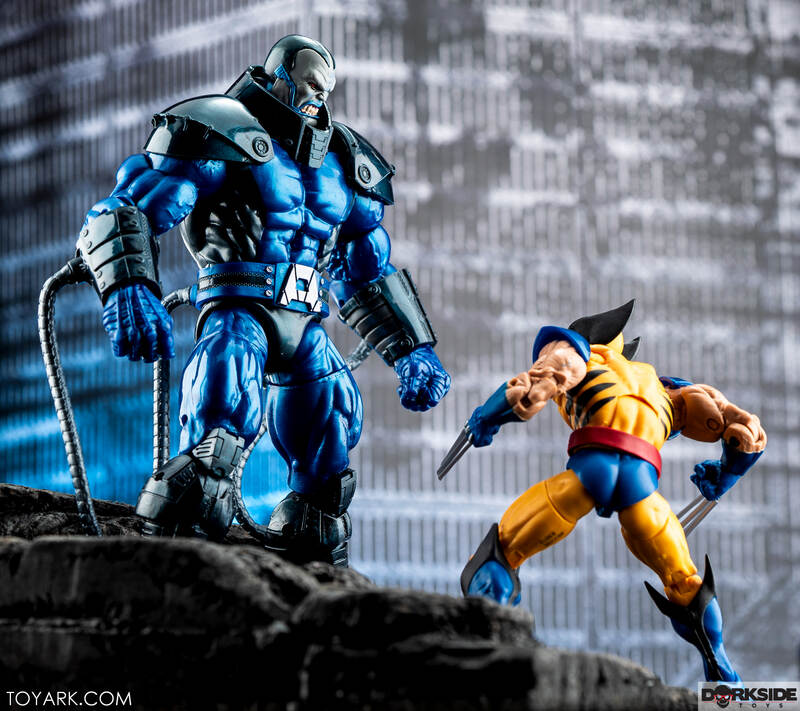 This is yet another awesome piece by Hasbro along with the recent Apocalypse, utilizing the BAF bigness to the max. 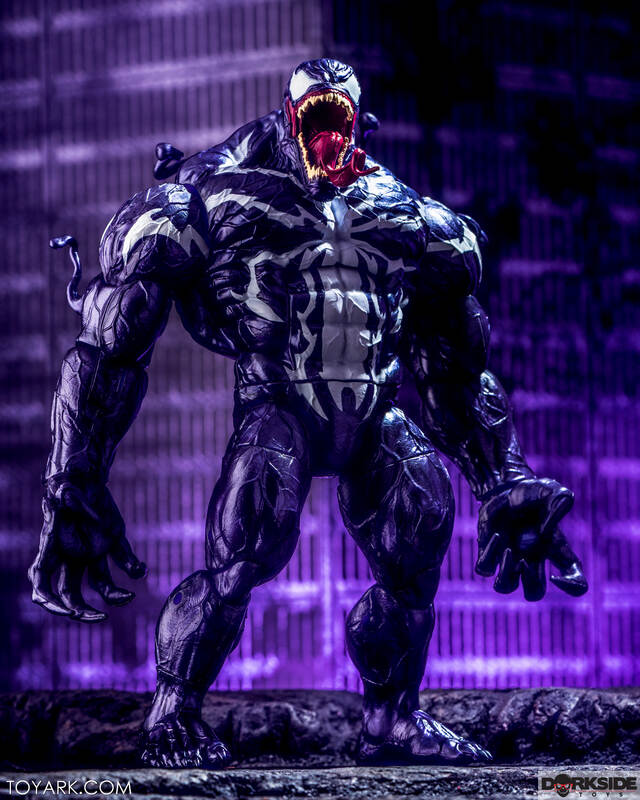 The figure is so diesel his upper torso comes split in half front to back in package so it can fit. 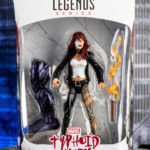 Range is solid and articulation points are good for a BAF. 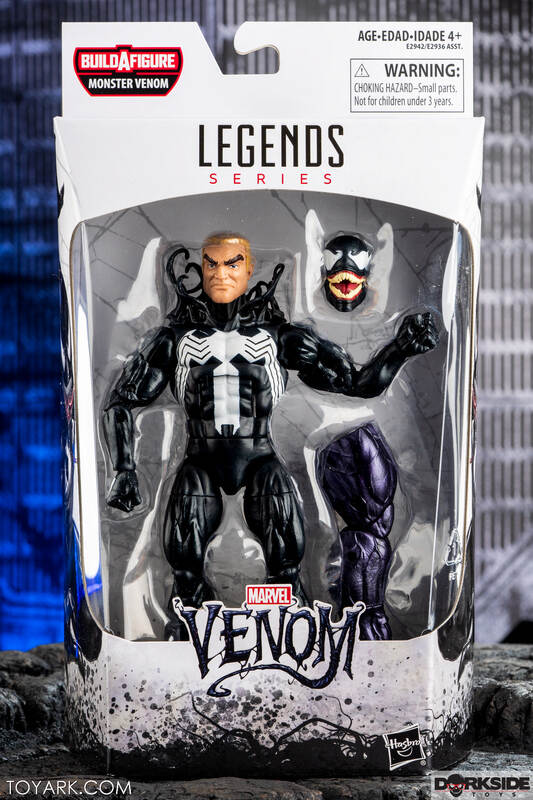 He keeps his balance as well. 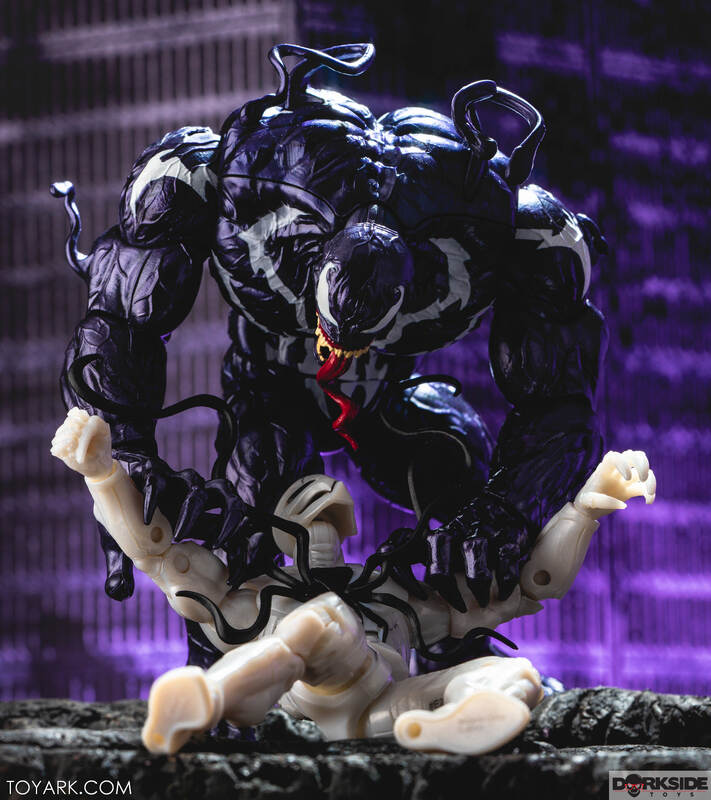 Find the plant point and plop him down, he’s staying in place. 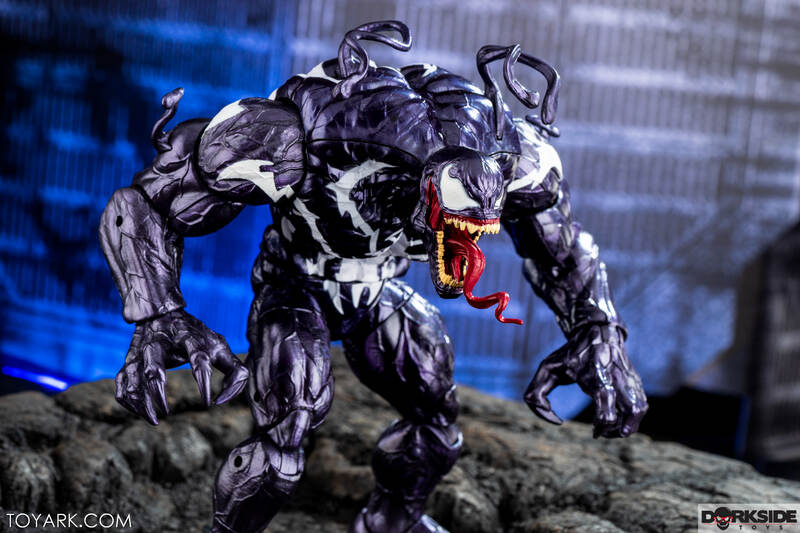 Sculpt is fantastic head to toe, and paint is awesome with a slight purple sheen to the overall black tone. 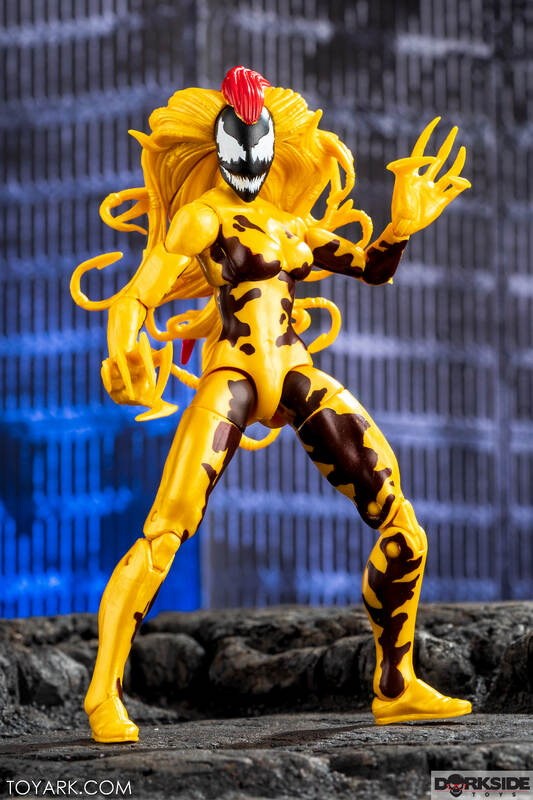 Spider markings are cleanly applied over the muscular body as well. 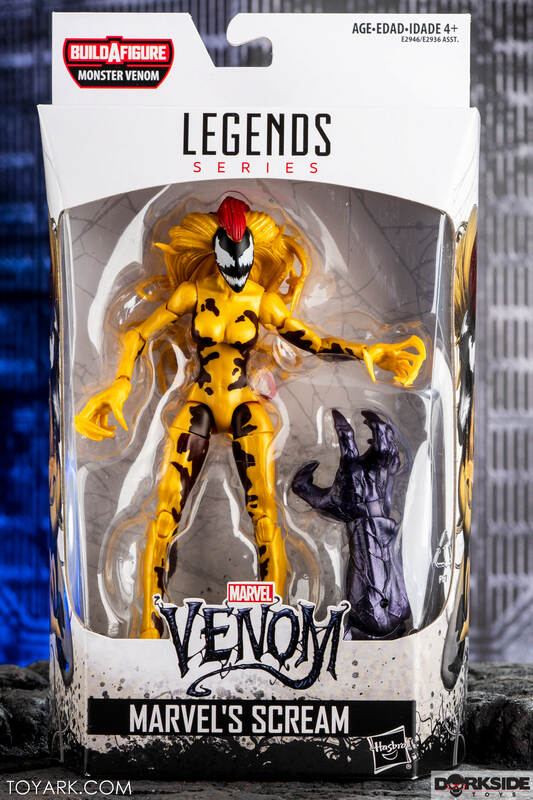 Bottom line, this one is a keeper! 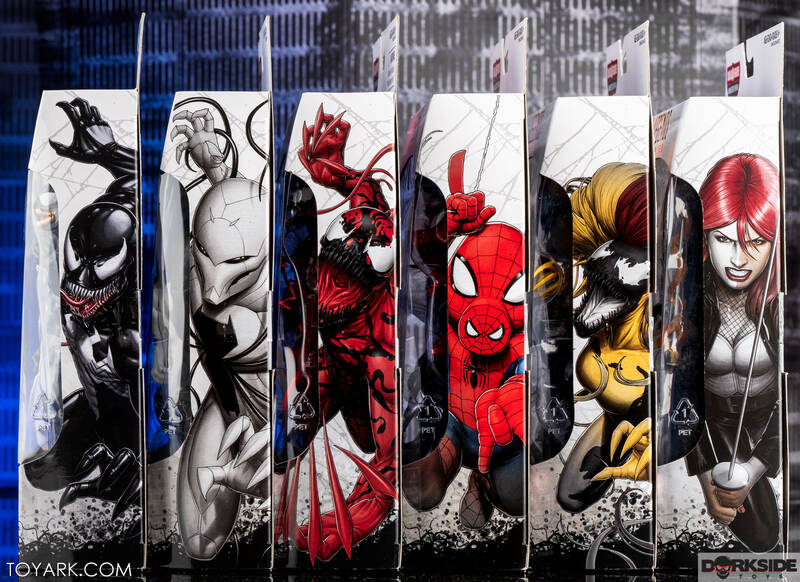 This wave is flying off the shelves but some individual pieces are still available over at Dorkside Toys. 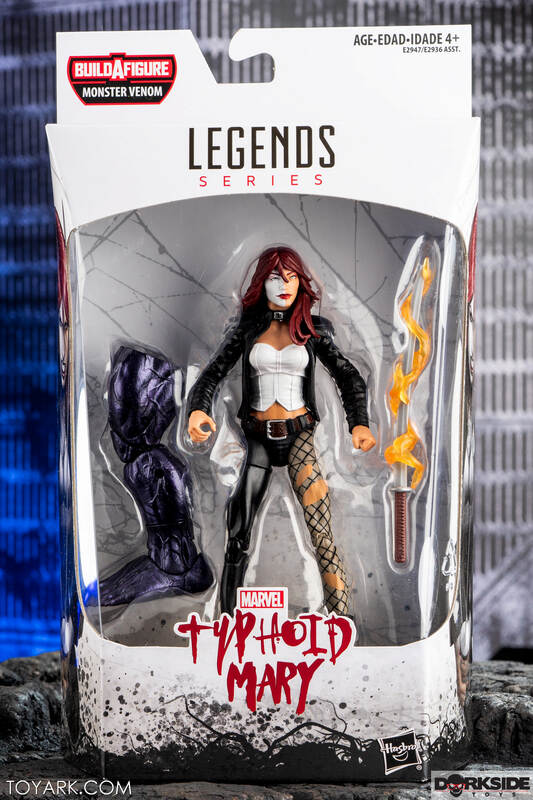 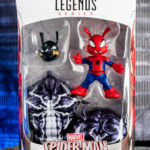 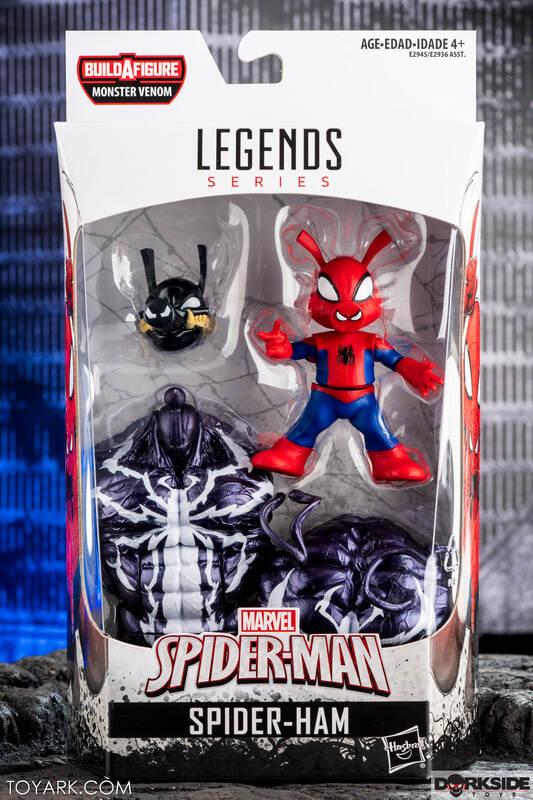 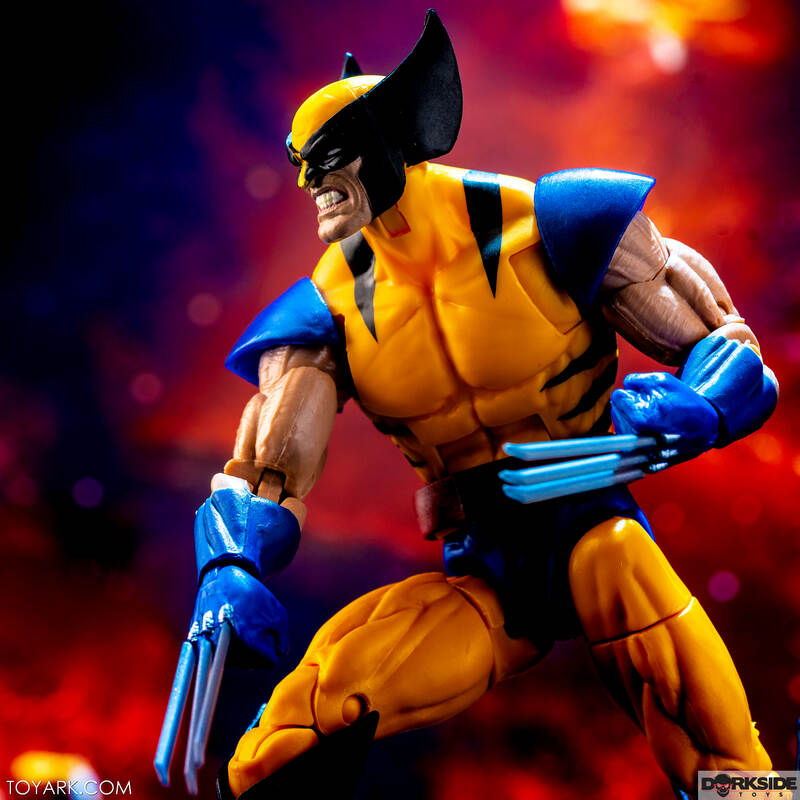 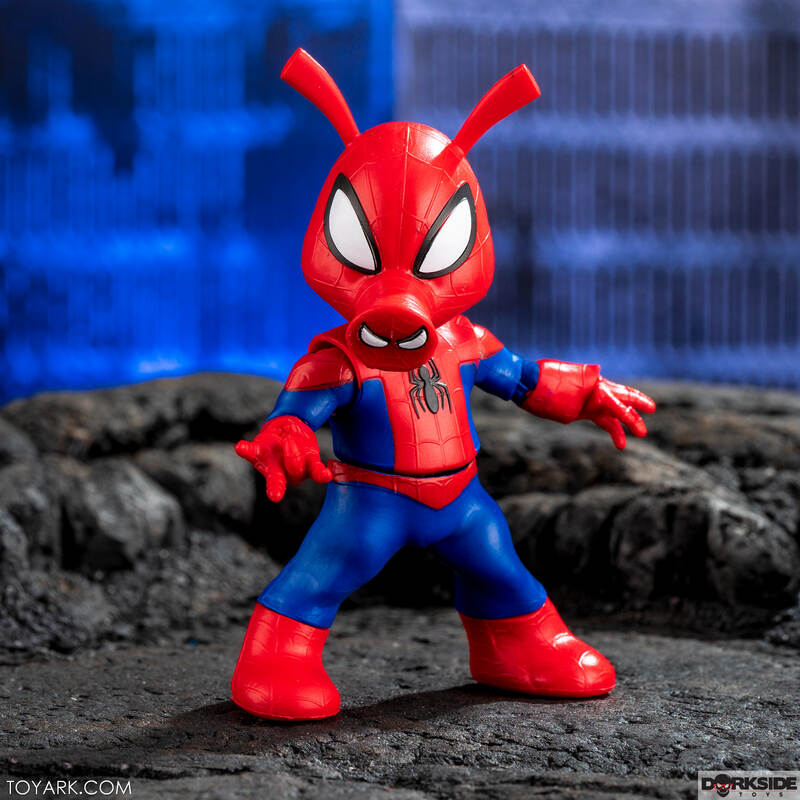 Hit the links below to check all their Marvel Legends in stock. 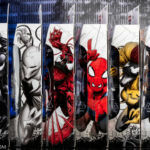 Related Dorkside Toys Links: Deadpool Sauron Wave, Apocalypse Wave, Venom and Carnage, All Marvel Legends. 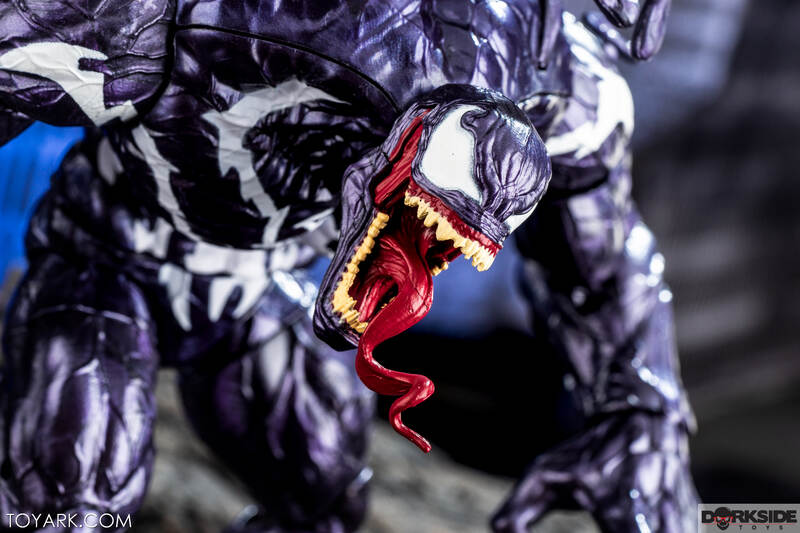 Read on to check out over 30 images of Monster Venom and the wave together!